What Makes Our Rice Different? 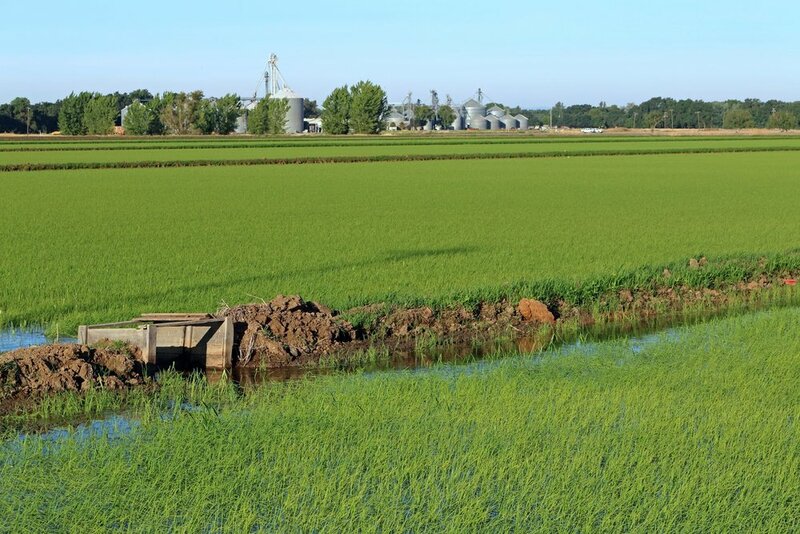 We strongly believe in coupling cutting-edge, sustainable farming practices with a proactive wildlife conservation program to grow the highest quality rice possible while improving the land for future generations. This is one of our harvesters, it takes weeks of steady work to harvest our fields in fall. Timing; water content of the rice; and weather are all factors that are crucial in assuring that we have the best product possible. GPS leveling on 100% of our fields to reduce water use. Yield mapping and fertilizer prescriptions to reduce fertilizer use and increase yields. All of our remaining straw is incorporated into the soil each year to build the soil health. GPS steering on all tractors to reduce fuel use. At Rue & Forsman we proactively provide optimal habitat for migratory shorebirds on over 1,000 acres in the fall, winter, and spring through partnerships with the Nature Conservancy and other conservation groups. 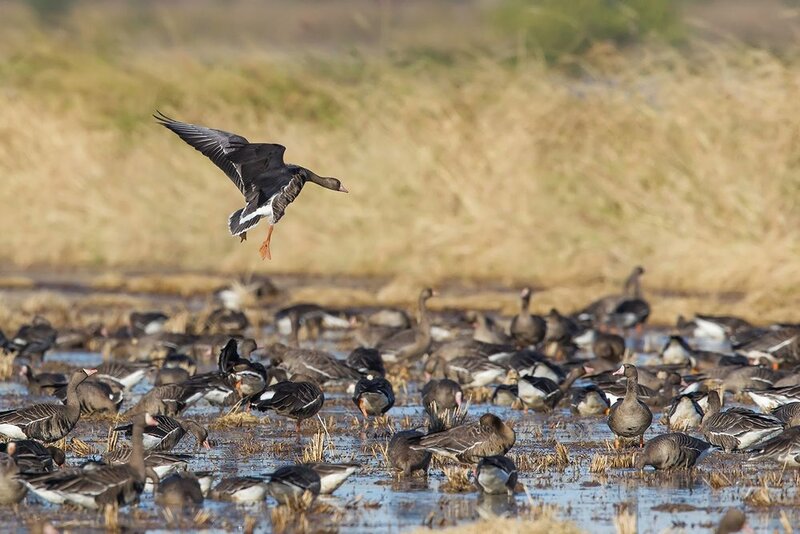 Our rice fields act as surrogate wetlands for these migratory species. We have installed over 100 nesting structures for songbirds, owls, bats, and ducks. Over 120 acres of permanent wetlands are managed for many different species. In order to produce the highest quality rice possible, we carefully control each step of the journey from the day the rice is planted until it is milled and delivered to the customers. All of our rice varieties are source identified and are fully traceable back to the fields where they were grown.